Auckland's bar closing times, as part of its Local Alcohol Policy, are up for review. The police, unsurprisingly, want closing times to be earlier - 3am. Council wants it to stay at 4am. I had had a look at the evidence around bar closing times and harms for the Hospitality Association in 2014 for the Wellington LAP hearings. It seemed pretty heroic to conclude that much of anything with respect to harms would change with a one-hour change. One of the better studies I'd then seen on it found that changes in regulated hours of operation shifted the timing of harms with no particular effect on their severity. So, first off, what's precipitating things here? The proportion of 15-17 year olds who drank in the last 12 months dropped from 74.5% in 2006/2007 to 57.1% in 2014/2015. Again, most of the change was from 2006/2007 to 2011/2012, with things being pretty flat since then. The population proportion of hazardous drinkers dropped from 2006/2007 to 2011/2012 but has edged up a bit since - though still lower than 2006/2007. The increase is due entirely to increases in hazardous drinking among those older than 35. 19.5% of youths in 2006/2007 met the threshold for hazardous drinking. In 2014/2015, that rate was 10.8%. Here's Auckland's crime rate, through 2014. Statistics since 2014 aren't comparable with the prior time series. But here are the total offence numbers for Auckland from July 2014 to present. I've divided each month's total number of offences by that month's population for the district, then multiplied by 12 to get a rough annualisation figure. There's a blip up in March 2016, but otherwise things are looking pretty flat. Remember that this is monthly data: it will always look flatter than annual data. It's hard to make the case for that there's some big upswing in crime or alcohol use necessitating crackdowns. Second, Hahn et al's metastudy finds no evidence that changes less than 2 hours do much. They do suggest that changes greater than 2 hours may have effects, but the evidence base there is weak: the papers forming the basis for that call were very mixed, with 2 showing decreases in harms with increases in bar opening hours, 3 showing increases in harms, and 3 showing a statistically insignificant increase in harm - but all 8 were classed by Hahn as having the least valid design quality. I surveyed this more broadly when I reported on bar closing times for the Hospitality Association in Wellington's Local Alcohol Policy hearings in 2014. I'm not sure if my submission from that is available online. Policies like 24/7 in the US seem to reduce harm and are targeted at those who cause harm rather than hitting everybody. See RAND's evaluation here. The basic programme has repeat alcohol-related offenders go onto a 24/7 sobriety scheme, where alcohol use is monitored transdermally by a bracelet. Parole is revoked if the parolee drinks. Some people argue for drinking licences, where you'd have to have a licence to be able to consume alcohol. This is that except in reverse: if you prove that you're unable to have a healthy relationship with alcohol and are harming others, you get a mandatory sobriety treatment. I've even heard reports that some parolees graduating from the programme request to stay on it, to help them stay sober. We didn't get into another aspect of this. The Herald on Sunday says that the police this time are pushing for one-way door policies in Auckland. And it looks like the police are also pushing for it in Wellington. The police here have seen what's happened in Sydney, and they like it. The cultural effect of the lockout has been clear for a while, but a February article by Freelancer.com CEO Matt Barrie [see here] seemed to speak directly for those tired of having their party pooped. A detailed account of closed venues and empty streets, it received close to a million views. One statistic highlighted is so singular that it hardly needs elaboration: pedestrian traffic in Kings Cross is down by up to 84% compared with 2012 levels. “Every week, another venue or restaurant closes. The soul of the city has been destroyed,” Barrie wrote. I can totally understand why the New Zealand police, and their Australian cousins, would like this. If there's nobody out at night, it's way easier to roster officers. Fewer night shifts to worry about. But if any reduction in crime is just from having something close to a curfew, that's not all that hot of a policy. When you run a one-way door policy, folks have to rush to get into the late night venues. You can't shop around based on the music coming out the door: if the band finishes, you can't go find music elsewhere. And people milling around outside because they can't get back into the bars aren't happy people. Richard Cooke's piece, linked above, blames it in part on the coming gerontocracy. Basically, old people have pushed for housing regulations that ban anybody from building new housing, so the price of housing is too high for young people to live downtown. Then, downtown oldies start pushing for noise policies and other regulations to kill night-life, to keep the young people out of downtown. Melbourne trialled one-way door policies in 2008. Bar patrons surveyed at the end of it strongly agreed it did nothing to improve safety but did harm the city's reputation as a 24/7 place to be. The data KPMG put up in its evaluation was a pretty mixed bag. Bad stuff declined during the trial relative to the prior 3 months, but that's mostly a seasonal effect: June-August is always a lull. So just comparing to the prior 3 months is no good. But comparing to the prior year's same-period stats isn't great either if the prior year were better or worse than 2008 on any of the measures. Ideally you'd want to run a fixed effects regression controlling for year and month effects, but they had a 3 month trial at the end of three years' worth of data. I can't see any effects in there either way, really. And where KPMG did find effects, like a 6.9% increase in assaults during the trial as compared to prior months (where it's typically down in June-August), they noted that the police had more officers on the street during the trial than they did previously - so everything will be contaminated by that. I hope Wellington Council maintains the liberal approach for which it pushed during the 2014 Local Alcohol Policy hearings. It's interesting to peruse the list of policy recommendations coming from New Zealand's public health academics. I'll summarise, but do check the link above. I'm really not exaggerating here. NZ Defence Force ban SSB sales on military bases, as "some of these bases have children living on them". Restrictions on artificially sweetened beverages could be a good idea in the longer term but they should remain as an option for those swapping away from SSBs. University students need protecting from soda. 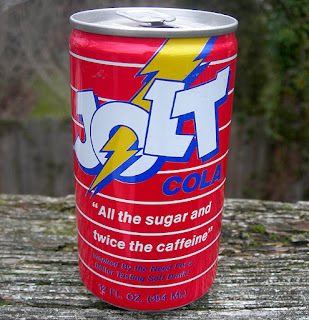 America sets campus safe spaces to protect students from dangerous ideas; Kiwi public health academics want to protect them from having a Coke while studying. I applaud the Kiwi health profs for their honesty about their end goal. Every step of this ought to be opposed. 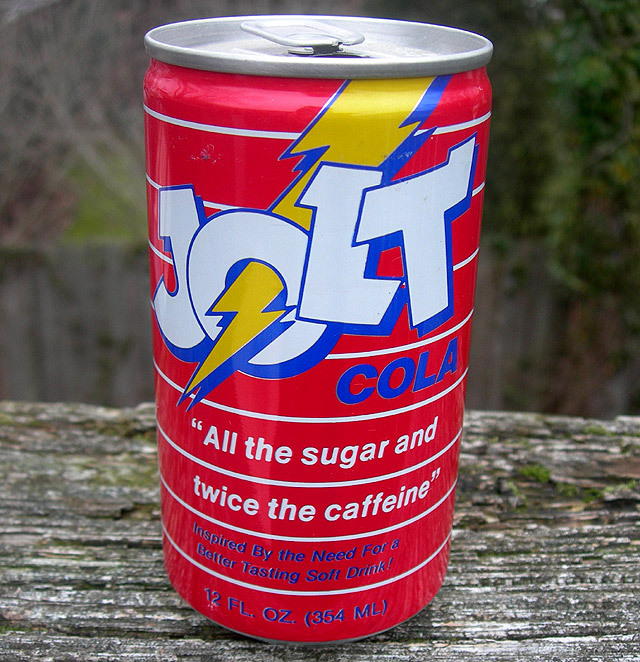 It won't just be a 20% soda tax. We know, and they really do too, that a 20% tax won't do anything. But it's the critical first step towards getting annual excise hikes until soda is as taxed as tobacco. Along the way, the excise would broaden out to other sugary foods. And the other restrictions in the play book would start layering in. You don't have to be industry-funded, or some crazy ideologue, to look at the agenda they've clearly laid out and just say no. Jenesa’s report provides some helpful ammunition. Crossposted at The Sandpit. Image via DinosaurDracula. It's not easy to invest in New Zealand, or at least not if that investment involves sensitive land or any relatively large firm. The Overseas Investment Office requires demonstration of the prospective investor's good character, and often requires that the investment meet certain other constraints. This week's brought news that the overstretched OIO has not been particularly diligent in its character assessments; some folks with seemingly dodgy prior histories made it through the filter. And so we have a great potential test here. Folks on my side have always argued that these character tests are a bit nuts as no foreign investor, however dodgy, can do anything with New Zealand land that a Kiwi couldn't do. Plenty of dodgy Kiwis own land. But doing anything with land requires getting resource consents. It's not like they're going to abscond in the night with a high country sheep station. If my side was wrong all along, then we should be able to find at least some examples of the dodgy people who slipped through the net having done dodgy things that a Kiwi mightn't have done. And then I'd update. On the other hand, if not really enquiring into folks' backgrounds didn't lead to any real harm when people of less than stellar character made investments, then we should ease back or do away with the character tests. It's just been a bit odd that all the talk's been about staffing up the OIO so that they can do diligent tests, rather than asking whether not having really done the tests made a whit of real world difference. 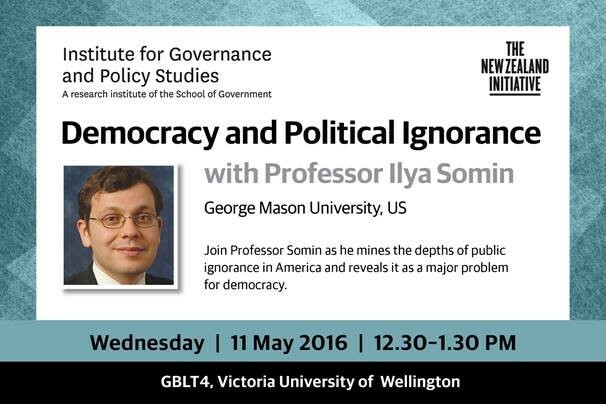 Ilya Somin will be speaking here in Wellington next week at Victoria University on his recent book on democracy and political ignorance. I really hope you can join us. An American perspective on political ignorance, given the current GOP nomination, could be rather enlightening. Ilya Somin mines the depths of public ignorance in America and reveals it as a major problem for democracy. He weighs various potential solutions, provocatively arguing that political ignorance is best mitigated and its effects lessened by decentralizing and limiting government. People make better decisions when they choose what to purchase in the market or which state or local government to live under, than when they vote at the ballot box, because they have stronger incentives to acquire relevant information and to use it wisely. Somin walks us through the connections between political ignorance and the disproportionate political influence of the wealthy, new proposals for increasing political knowledge, and up-to-date survey data showing just how little Americans really know about their government. ILYA SOMIN is Professor of Law at George Mason University. His research focuses on constitutional law, property law, and the study of popular political participation and its implications for constitutional democracy. He is the author of Democracy and Political Ignorance: Why Smaller Government is Smarter (Stanford University Press, 2013), The Grasping Hand: Kelo v. City of New London and the Limits of Eminent Domain (University of Chicago Press, 2015), co-editor of Eminent Domain in Comparative Perspective (Cambridge University Press, forthcoming), among several other books. Somin’s work has appeared in numerous scholarly journals, including the Yale Law Journal, Stanford Law Review, Northwestern University Law Review, Georgetown Law Journal, Critical Review, and others. He features regularly, either in the opinion pages or quoted as expert, in American media outlets from the Wall Street Journal to the Washington Post, and from the New York Times to Al Jazeera. He has testified before US Senate Judiciary Subcommittee on the Constitution, Civil Rights, and Human Rights and the United States Senate Judiciary Committee. Somin writes regularly for the popular Volokh Conspiracy law and politics blog, affiliated with the Washington Post. From 2006 to 2013, he served as Co-Editor of the Supreme Court Economic Review, one of the country’s top-rated law and economics journals. I remain a bit puzzled as to why I have been utterly unable to convince any insurer to provide me a quote for earthquake insurance for Wellington. I've mooted the product before; I've stripped it down here to what I think is its simplest form. As first cut, I’d suggest basing it on the Modified Mercalli reading for downtown Wellington, with a trigger at MM 9 or higher. The 1855 earthquake was MM10, but nothing else higher than 9 has been recorded in Wellington since colonisation. The Christchurch February quake was MM 9. We would need to check that MM ratings applicable to downtown Wellington are reported for larger events farther from downtown. I’ll explain why I want this contract, and in doing so potentially explain the size of the potential market. I was in Christchurch for the 2011 event. That event resulted in substantial uninsurable losses not just from the event, but from the post-earthquake experience. Businesses who had continuation insurance found themselves out of luck when Council barred their entry to their premises: acts of Council are not covered. Homeowners who thought they were insured to a rebuild-as-new standard found themselves instead with revised standards for reinstatement methods that left them substantially worse than prior to the event. * And the process, involving large-scale coordination failures between EQC and private insurers, let things drag out for years. I never want to go through that again, and I suspect that many who experienced Canterbury would appreciate a different kind of contract. A large lump-sum pay-out that comes if the insured event happens requires no lengthy claims adjudication process: the MM9 quake either happened or it did not. No assessors need argue about whether anything on the house were pre-existing damage. There’s no interface between EQC and anyone else arguing about whether something is over or under-cap. Instead, I hike out of town with my family as best I can, start my life over somewhere else in the world with the resources to do so comfortably, and have a real estate agent pack out our house and sell it as-is, with all earthquake claims transferring to the new owner to deal with. There has been sufficient press around the problems in Canterbury post-quake insurance that many owners in the Wellington area would be aware of the problem. Simply announcing the existence of the new insurance product would undoubtedly lead to press coverage that would help to attract new customers. Moreover, I expect that this is something you could and should take worldwide. California and the rest of the Pacific Northwest, Japan, and other places offer a bundle of offsetting uncorrelated risks that could build a pool for purchasing reinsurance against claims. If you look at the Pacific Northwest, many homes are uninsured because earthquake insurance for natural disaster is too costly, but it’s too costly at least in part because insurers face costly assessment and dispute processes after an insured event, where homeowners will be tempted to pass off pre-existing damage as being due to the event. Insurers then face very uncertain overall liability. With my proposed product, the pay-out is known with certainty: if the event does not happen, claims are zero; if it does happen, the pay-out is the total sum. It is then more like life insurance than like any standard homeowner insurance. Please let me know if this is a product you think could be developed, or if there’s something obvious I’m missing explaining why this cannot easily be offered. The only explanation that makes any sense to me thus far is that contracting costs are non-trivial and fixed, that the potential number of customers for such a product is smaller than I would anticipate, and so it is worth nobody's while to develop the contract and set up the reinsurance. The alternative is that insurers are leaving dollars on sidewalks because they're too conservative; in a world with insurance against your celebrity endorser's disgrace, that doesn't seem immediately plausible. If the actuarially fair price for a $1m payout for a 1/1000 annual event is $1000, I'm happy to pay the standard insurance multiple over the actuarially fair rate for the contract. * Since then, the High Court has - five years after the earthquake - issued a declaratory judgement that repair to an "as new when new" standard specified in insurance contracts actually means that the repair has to be to that standard, updated to meet current building code. EQC had been instead rebuilding to an alternative standard that MBIE came up with, in which notched bearers, jack and packed piles, and floors up to 5 cm out of level counted as good enough. And those with the patience to go through the whole rebuild process again can now presumably go back to EQC for a do-over. This Press editorial is also good. While I was chasing the kids on Fijian beaches last week (and not blogging), the Dom Post ran my piece on tax hypothecation and sugar taxes. It is very, very easy to break a beautiful tax system. Here is the recipe for doing it. Start by finding some product that seems a little frivolous – a bit of a luxury – and preferably one that's mostly used by people that the typical voter does not really like anyway. Say, for example, the fancy beard oil used by hipsters to maintain their elegant facial appendages. Then, find some cause that nobody could object to. Something really motherhood and feijoa pie. Tieke recovery. Who doesn't love the New Zealand saddleback and support its recovery? Nobody. Add the two together and propose a tax on hipster beard oil to help fund Tieke recovery programmes. Who could object? Hipsters are at best a mild nuisance, and at worst a looming threat to national identity; beard oil seems the height of frivolous consumption; and Tieke are a perennial entry in Bird of the Year competitions. The bundle is an economic abomination. If Tieke recovery is the best use of the next public dollar, it is best regardless of whether we tax hipsters' beard oil. And if a tax on hipsters' beard oil is the most efficient next tax to impose, then the government should tax it regardless of whether the money raised is used to cut other taxes, fund Tieke recovery, or fund something else entirely. But none of that much matters. Treasury would scream, because economists know that these kinds of taxes are abominations. But Labour dismissed Treasury critiques as ideological burps, and National's Gerry Brownlee has been no less dismissive of sound Treasury analysis. Politics rules in the end. Taxing beard oil may sound frivolous, but consider campaigns to tax soda, or sugar, to fund public health campaigns. If a soda tax makes sense, then it makes sense regardless of whether the public health campaigns are the best use of funds. And if the public health campaigns are that valuable, why is the government not already cutting other less beneficial programmes to fund it? The answer of course is that public health campaigns worth running are already largely being tried, and that a soda tax makes little economic sense – as Jenesa Jeram shows in her report, The Health of the State, released recently by The New Zealand Initiative. Putting the tax and the health campaigns together hardly improves the economics of the tax-and-spend bundle, but does make the package more politically appealing. One Prominent Local Auckland Hipster thought the op-ed was about him. Oh, Jackson, you so vain.... But when I was thinking about something that nobody could object to, something really motherhood and feijoa pie, I remembered his perennial pro-Tieke tweets. And from there, the beard thing just kinda followed. Note too that the case for hypothecated taxes would not at all be improved if the hipster beard thing had any connection at all to Tieke. This is pretty standard public finance textbook stuff. If the tax makes sense, it makes sense on its own. If the recovery programme makes sense, it makes sense out of general revenues. We have hypothecated taxes on petrol, but that's really a form of user-pays. Petrol tax and road user charges reflect users' use of the roads; the roads are funded by the tax. And with RUC, vehicles that do more damage to the roads pay more. It's not perfect, but it's a pretty decent user charge. Sugar taxes aren't really a user-pays scheme for hospitals. On a related note, John Roughan had an excellent piece on the public health campaigners' response to our report on sugar taxes and the like.